Your mission today is to spend some time thinking and sharing about learning in your 1:1 laptop classroom. The key issue about learning in a 1:1 laptop classroom is not the technology but the pedagogy. Today we will share our knowledge, accumulated over the least three years since the rollout of netbooks, using an online tool. Please register as ‘a teacher’ at Edmodo (or login if you already have an account) and use the ‘group code’ emailed for our session. Everyone will be able to decide if Edmodo is for their classes, after using the tool for our SDD session. Why are we doing this, Darcy? 1. It is a really easy to learn, effective way to share ideas, links and files quickly in a classroom situation. You can poll students and they can even submit video files to you. The students work it out in about 5 seconds. 2. Students like the interface (many have said to me it is similar to Facebook) and engage in a wide-range of different styles of lesson using the tool. 3. The teacher creates the class space, only people with the code can join. The code can be changed and the teacher is able to manage their ‘online classroom’ effectively in the most appropriate way for that group. 4. It is a practical way to teach students about good digital citizenship. You can insist upon a code of conduct that focuses on everything from good spelling and punctuation to netiquette. 5. One of the foci for our school this year is student attendance, particularly ensuring that no-one misses learning while away. Edmodo is a great way to ensure the absent student can participate, after the lesson. 6. You can communicate with the whole class, make small groups or send individual direct message DMs. Students cannot DM other students with this tool. It is a great way to extend students and allow them freedom to develop their own ideas and interests while you are busy with other students. 7. A simple game I play with students where they have to produce a short, perfect piece of writing, edited by their peers, is one of the best writing strategies I know. 8. There are many DEC and educators from around the world using Edmodo. They are very collaborative and willing to share. Classes can communicate online if you share the code. 9. It is free and has an iPhone app. It is not blocked by the filter. 10. Why do you think it is a great tool? It is important to take this opportunity to share and comment at Edmodo during the session to reflect on how the tool(s) may be used with students. 1. I suggest you look at all of these Top 100 Tools for Learning and ‘favourite’ the best for your classroom. Some may prefer this version. How many of these 100 online tools have you used? What works for you and why? What would you like to try? 2. The Digital Education Revolution resources site is a great example of using Livebinders. Explore the DERNSW site and Curriculum Support for links and teaching ideas to share on Edmodo. Would livebinders work for your teaching, subject or students? 3. Copyright issues for students and staff are increasingly important and complex to understand. Are you aware that Flickr is being used by the great libraries, museums, archives and galleries of the world to share their images legally online? Check out the amazing list of participating international and Australian institutions here. More information is available about Flickr at their FAQs and about ‘creative commons’ licenses generally here. OK Darcy, how do we know this is a legitimate, copyright safe idea/site for teachers in NSW schools? Good question. Here’s the official line including great ‘Creative Commons Australia’ resources for educators. How can you practically teach students about copyright? 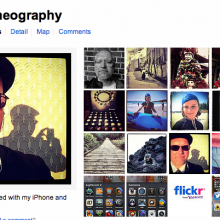 How will they use Creative Commons and Flickr? Please post a comment about how this relates contextually to your subject and students at Edmodo. 4. Explore teaching and learning activities at this DERNSW Digital Citizenship site. How could the activities be integrated into your pre-existing programs? MAC? 5. Check out great Maths, Science, PE and History teacher blogs. Here’s an extensive list of teacher, student and class blogs. I like Mitchell Squires primary school blogging at a DEC school, especially the The Super Blog of Awesomeness! Talk with Mr Cattle or Mr Horsley, who have both successfully run blogs with senior classes, if you are thinking about starting one. 6. Twitter and Facebook are unblocked for teachers at our school. Why not join? Quite simply, Twitter is my No. 1 professional tool. I am not alone in having this opinion about the microblogging site. Here’s a post about the relevant professional policy relating to social media use for DEC teachers and a list of DEC teachers I know on Twitter and a Maths teacher’s DEC ‘followers‘. Everything you need to know to make a start with Twitter is here but read this first. 7. Spelling and vocabulary – check out these poems and other resources that explore the peculiarities of the English language for (and not just) kids. Many students will find these words confusing and will probably struggle with literary terms. Most will find Spelling City, this visual thesaurus and dictionary useful sites. How could you construct fun lessons, perhaps using these resources, and/or using Edmodo, that improve spelling? Mr Capilli is a great human resource if you wish to use an iPhone, blogEd or WordPress blogs for students to blog about design or food. 9. Diigo (read this) and Pearl Trees are great social bookmarking tools to help you save, tag and share resources. For example, here are all my tags for Twitter, English and photography to give you the idea. Why not get an account, bookmark and tag sites discovered today? 10. Prezi is a great free online presentation tool for staff and students. Here’s an example, Cool Online Tools, I used with senior students and another, about Twitter by Pip Cleaves. I have discovered that student engagement (especially at home) has increased greatly when they use this tool. What option(s) from the above list did you take? How will students benefit? 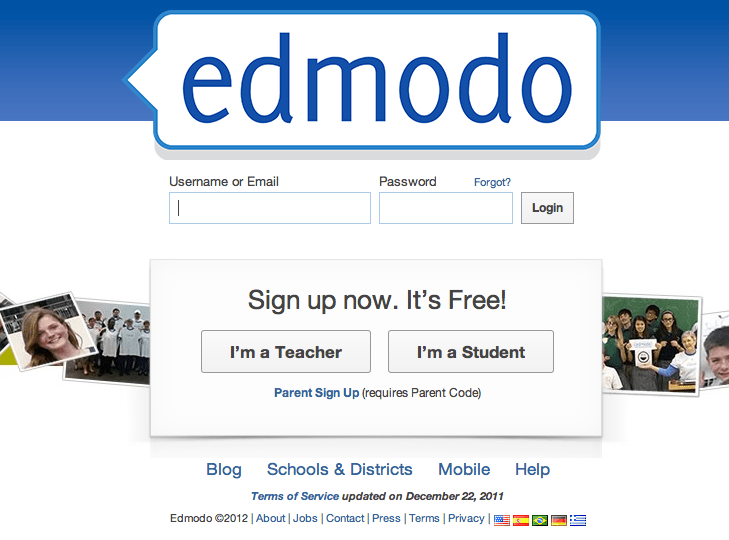 I look forward to your comments here and, more importantly, at Edmodo. This is a ‘taster’ session and as such, may be frustrating to some who like more explicit, structured instruction. You can continue, in a smaller group, after this opening session, where we will really explore YOUR classes needs. At Week 6 TPL I will also facilitate a small group session for anyone who wants assistance with the options above. Of course, at any stage I am happy to assist or come into a class to demonstrate or as a support teacher, if you want to try out some new 1:1 ideas. Why not establish your own class spaces at Edmodo? Here are my tagged resources and some other ideas on how Edmodo is used in your subject area. I’m feeling quite inspired after reading this blog post. What I like best is you’ve selected some great resources that any teacher can dip their toes into. I haven’t used Edmodo to its full potential yet, but that’s this year’s project. I previously used Moodle and found it terrific, and I love the potential of learning management systems. Not only can their effective use engage students more fully, but I believe they are great for encouraging student responsibility and participation. As an English teacher who taught primary literacy last year, I loved how the web and IWB resources can actually make spelling and language work fun for students. There are some wonderful interactive activities available online to foster language skills, as you have noted. Thank you also for highlighting the value of social media to teachers. I too have found Twitter and specific Facebook groups invaluable for motivating, enthusing and allowing me to share resources and ideas with a world of educators. To be able to collaborate globally – a truly cool thing!